It has been almost 30 years since the Public Service Commission was reorganized after two Commissioners were convicted of taking bribes that influenced their decisions. With the recent Kemper County Power Plant fiasco that would have severely crippled the economy in south Mississippi for decades, it is clear that the current structure of the PSC needs to be examined. Bigger Pie Forum commissioned a study of the structure of PSCs around the country. It found that there are dozens of approaches torepresenting/protecting consumers in cases regarding rates charged by utilities and the reliability of their services. Among its many discoveries, the study found that Mississippi’s arrangement, which has an investigative staff that is a separate entity from the PSC, is unique among the states. That staff, known as the Public Utilities Staff, has the same ultimate mission as the PSC: to balance the concerns of the utility companies and the consumers. 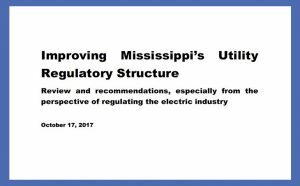 Another difference the study found between Mississippi’s structure and that of other states is that the vast majority of states have an office or an agency solely dedicated to representing consumers before their PSC. Significantly, Mississippi does not. As a result, when the PSC, as a body with judicial-like features, considers a case for raising rates – or approving the construction of facilities which will lead to higher rates in the future – the Commissioners hear from the utilities’ experts, and they hear from the Public Utilities Staff, which is supposed to balance interests of utilities and consumers. What’s missing is anyone to help provide that balance by focusing on what the consumers need. This is especially important for residential and small business consumers. The study includes observations about elected vs. appointed commissions (elected ones seem to perform better), but Mississippi has unique features about how we elect commissioners that are worth evaluating. 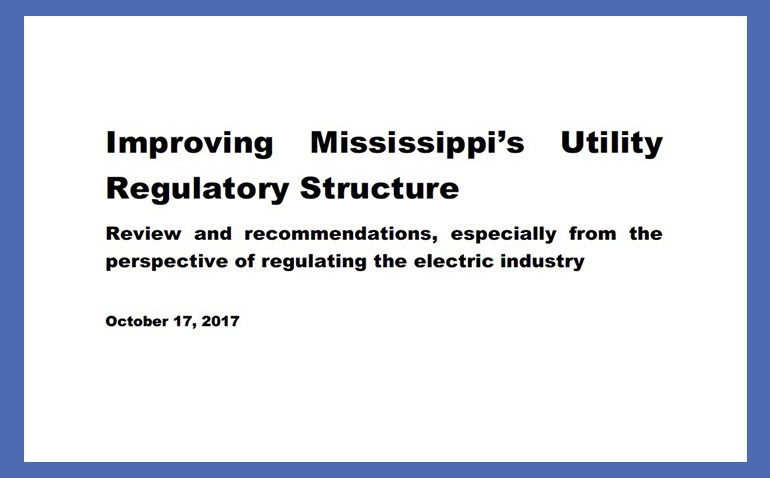 This report scratches the surface of utility regulation, and in fact focuses mostly on electricity regulation, while the PSC jurisdiction extends to certain aspects of telephone, water, and other utilities.